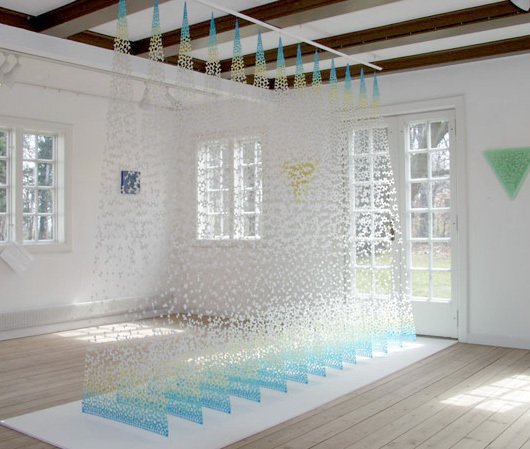 Yuko Takada Keller began her creative career designing and making woolen tapestries, but not long after graduating from university she turned to paper as the primary medium for creating her art. 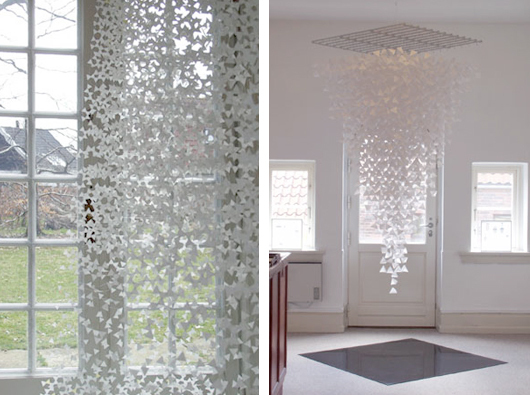 She started using traditional Japanese washi paper but felt it didn’t have the level of transparency she desired. 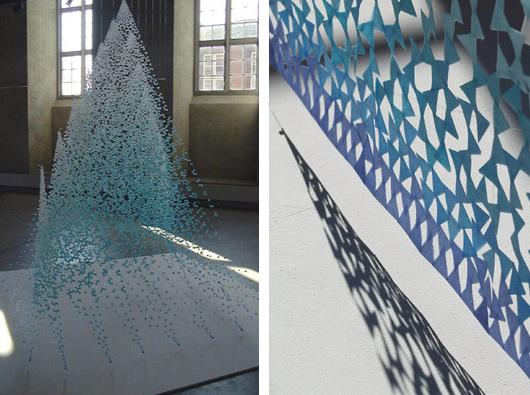 After experimenting with other types of paper, she discovered tracing paper gave her the effect she was looking for. 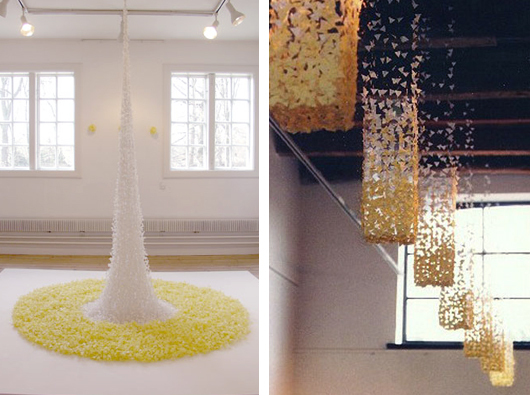 Yuko has been using tracing paper ever since and just take a look at the amazing array of work she has created with it. 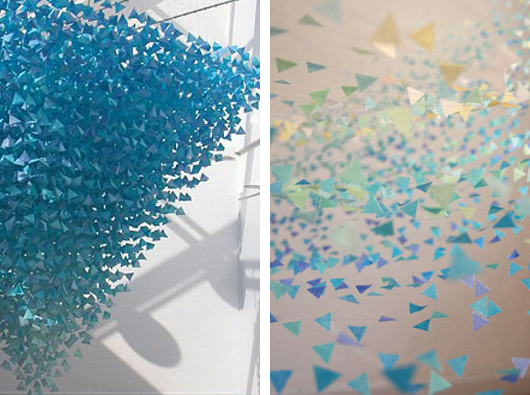 Yuko cuts up small triangular pieces of tracing paper that she says, symbolises a molecule of water, light or air. 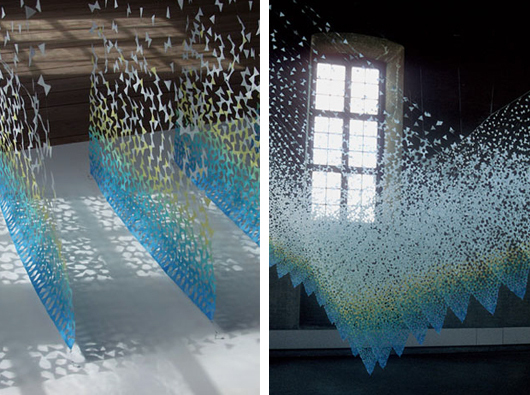 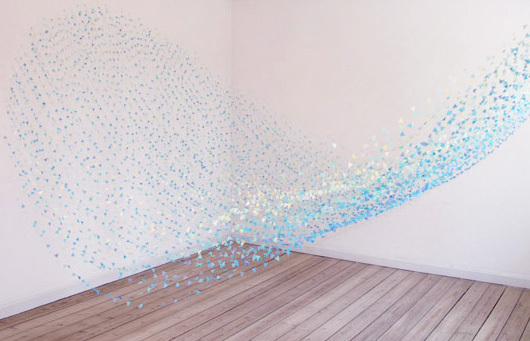 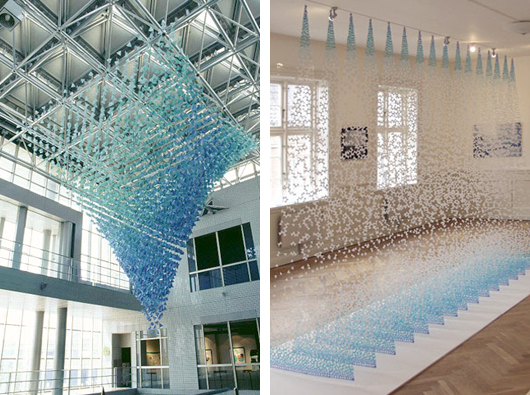 She is drawn towards pointillism and finds inspiration from this technique when creating these truly ethereal paper installations.